Superdry women's Kellow graphic midi dress. This t-shirt style midi dress is a great option for the everyday, with a crew neck, short sleeves and logo designs on the chest and back. 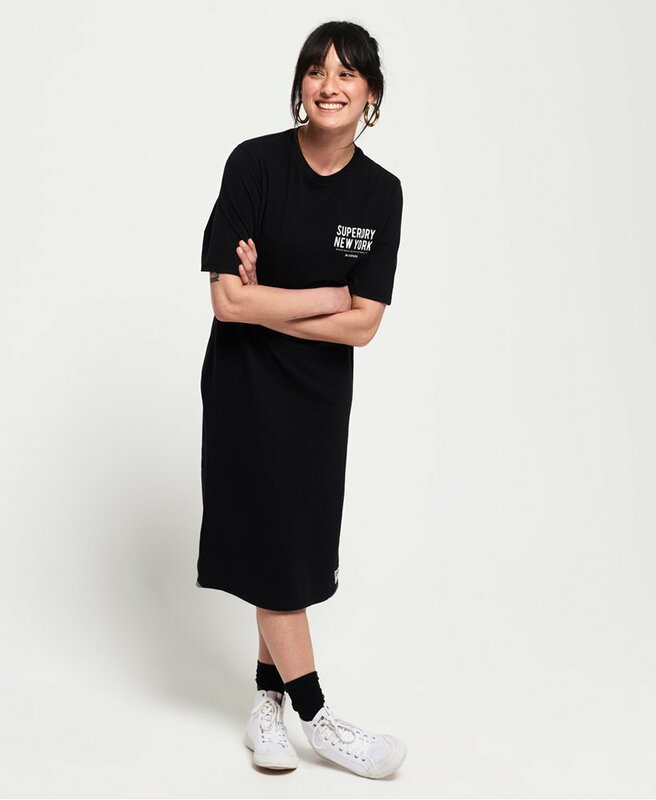 With a logo badge above the hem providing the finishing touch, why not try pairing this dress with a leather jacket and trainers for a cool yet casual look.